groves of top Istrian producers. In the past, this railroad used to connect with the lands of the Austro-Hungarian monarchy, and served to send quality products from Istria to the imperial and royal courts. But it also connected 33 towns and villages on its way. 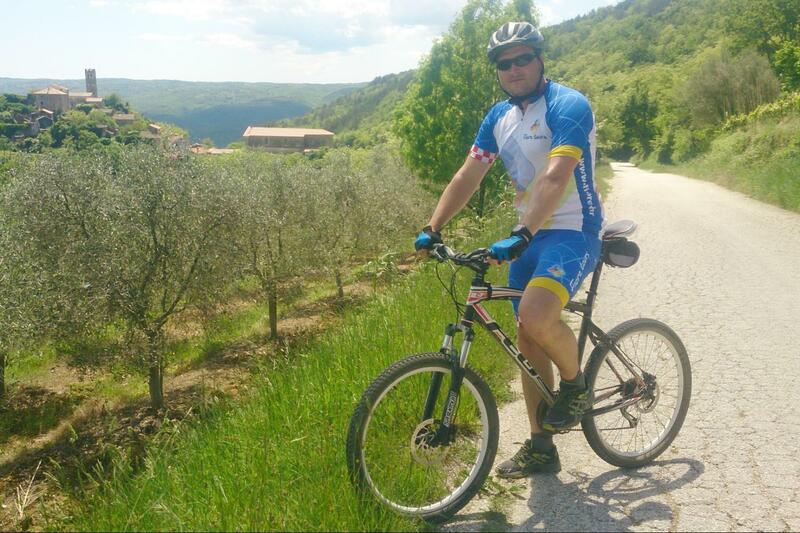 After the economic and industrial crisis in 1935 the railway line was terminated and disassembled, and today it offers the cyclist who follows its current path an exploration of the beauty of Istria. Arrival in Muggia (Triest). Meeting with your guide. (map with location of our office will be sent to you) where we will provide you with the package including hotel vouchers, bicycle with all equipment, maps and a road book. Overnight in Triest. Today Parenzana takes all along Piran Bay through Portorož and Lucija towns to Saltworks of Sečovlje.The Sečovlje salts flats are the northernmost salt flats in the Mediterranean. The salt is produced in the traditional way based on a 700-year-old method that harmonizes man and nature.You can visit it's museum.After you cross Slovenian - Croatian border Parenzana will take uphill along the trail where you can enjoy the view oin the whole bay with saltworks and the alps in the background.After passing by Savudrija - Salvore train station.Following parenzana train along the road and passing through once important villages of Buje region you are getting to you hotel where you can enjoy in Istrian specialties such as truffles and istrian prosciutto.Overnight in hotel in Buje region. 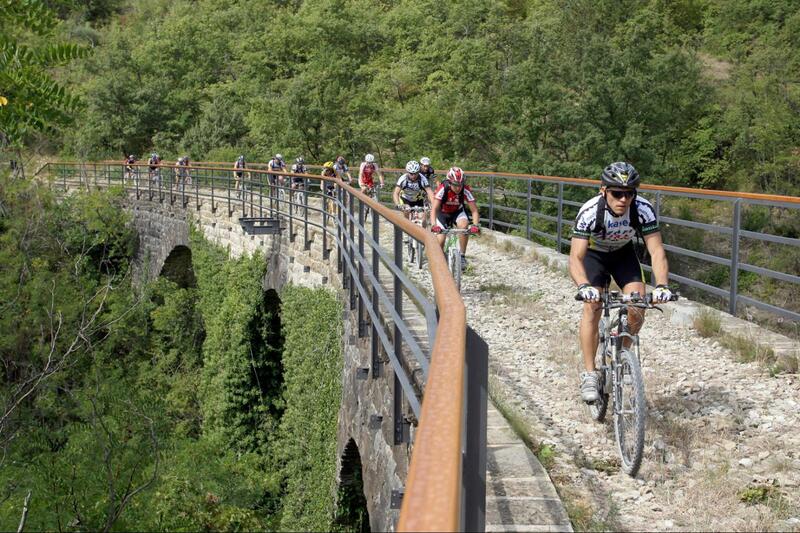 After breakfast you will start biking (on macadam) on the legendary route of the Parenzana, the former narrow - gauge railway line which penetrates deeply into the Istrian peninsula connecting 33 istrian towns between Porec and Trieste, located today on the territory of even three states. Passing through magnificent rolling landscapes and lively Istrian vineyards, it will became obvious why it was also know as the wine railway. After passing through several tunnels, over old bridges, you can stop on many fascinating view points between the medieval town of Buje, Grožnjan and Motovun before reaching Motovun.Stop in Grožnjan, the city of artist. 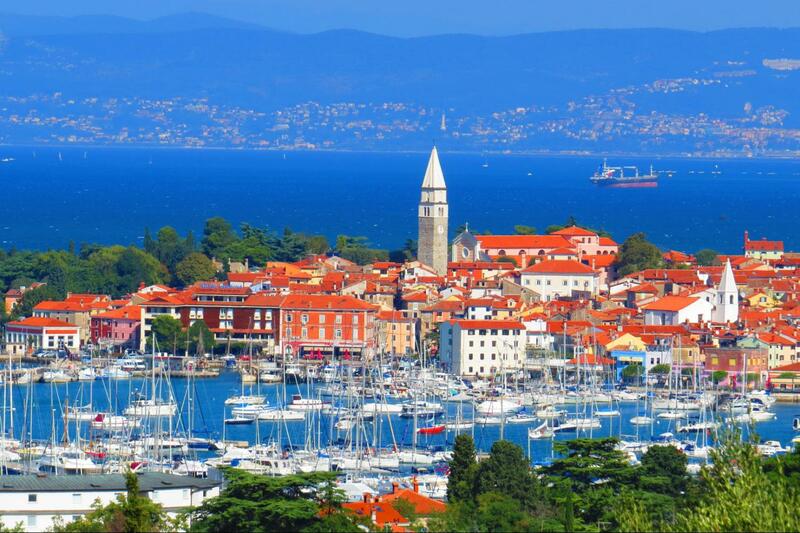 After you saw It's galleries and viewpoints you can pass through magnificent rolling landscapes and lively Istrian vineyards. 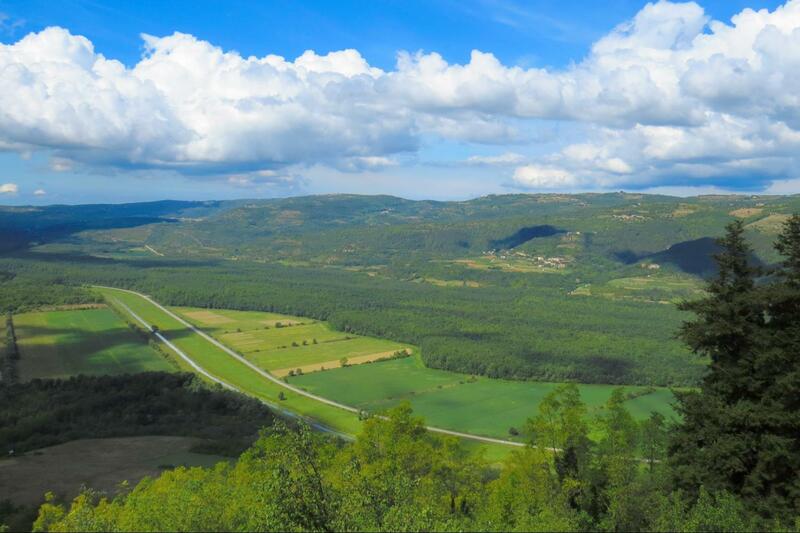 After passing through several tunnels, over old bridges you can stop on many fascinating view point before reaching the village of Livade, the truffle center of the world where you can taste and buy some products with truffles. 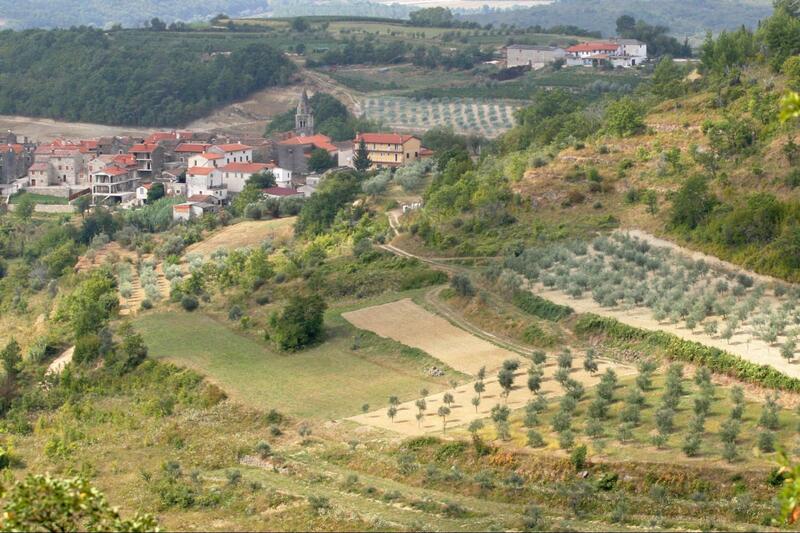 In front of Livade on a hill is the town of Motovun where is your hotel. Overnight in Motovun. 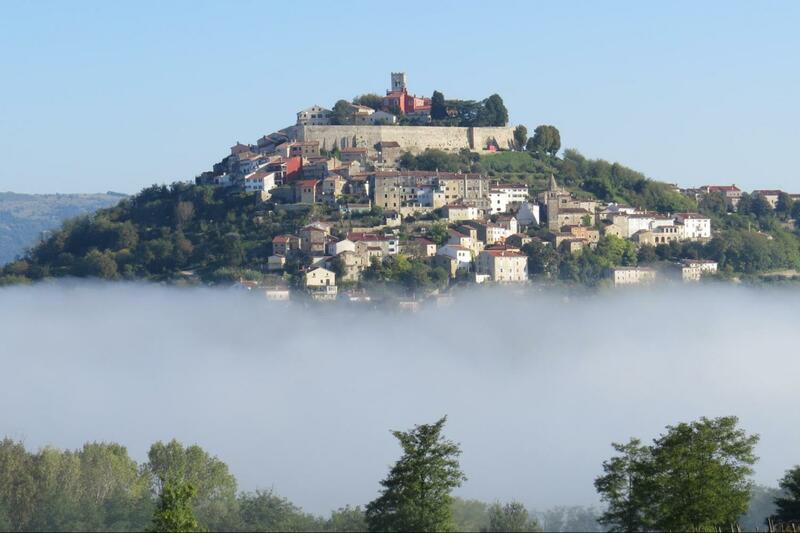 Overlooking the Mirna River valley, lies surely the most famous and attractive Istrian medieval town of Motovun-Montona. 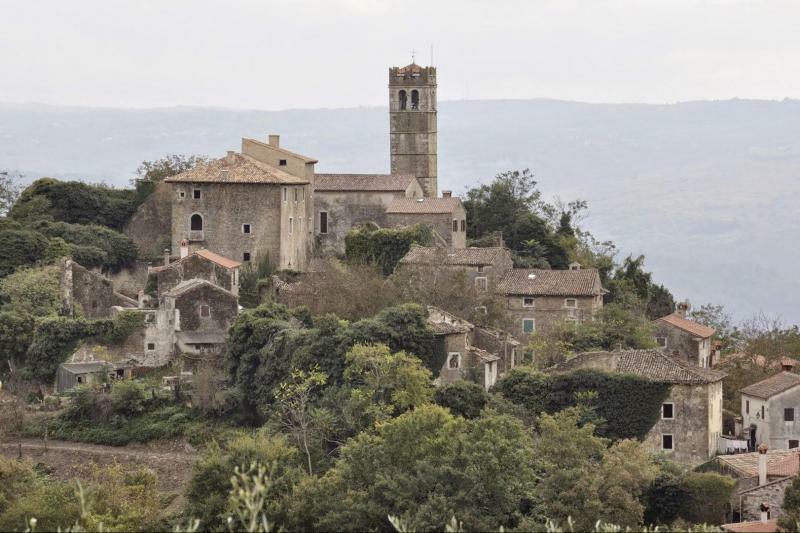 This captivating hilltop town is one of the characteristic symbols of the Istrian interior.The Romanesque-Gothic bell tower with a crenulated crown from the 13th century, standing next to the Parish Church of St. Stephen from the 17th century, dominates the town's historic core. In the central square is the Romanesque Municipal Palace, the largest secular building in Istria of that period surrounded by many other historic buildings.Passing the tunnel under the city of Motovun parenzana will take you towards Poreč through Vižinada village.You will pass by Nova Vas village where you can visit Baredine Cave.Following the trail along the vinyards you will reache Poreč.This is a town where you can find material and spiritual evidences of great cultures at every step. Ride along the old city center where you will find the Roman Forum, magnificent palaces from different historical periods, and to top it all, the famous Euphrasian Basilica (Euphrasiana). Overnight in hotel in Poreč. This tour can be guided. Lunch can be organized in local tavern. Rooms are double/twin beds with B&B. Our adult bicycles are quality hybrids, made by FELT. The model is the Q620 and we have a range of sizes to ensure there is a good match between you and your hire bike. These are very comfortable bikes, with quality components, ideally suited for roads and gravel tracks. The bikes have 27 gears, operated by easy-to-use gear shifters.